Is the Caribbean on your travel bucket list? If it’s not, it should be. With its sunny climate, sparkling clear waters, and colonial charm, the Caribbean is sure to capture your heart from your very first visit. By the time you’ve finished reading our 10 reasons why you should travel to the Caribbean, you’ll be ready to book the first flight out to this tropical paradise! It’s obvious why beaches must be number one on our list– the Caribbean has plenty of them! In addition, these islands have some of the best beaches in world. Pelican Beach in South Water Caye, Belize, is on National Geographic’s list of the top 21 beaches worldwide. It’s located right next to the South Water Caye Marine Reserve, which you can reach with just a short, safe swim. Also on the list is Curacao’s Cas Abao Beach, known for its crystal-clear waters teeming with colorful fish. It affords some incredible snorkeling opportunities right from the beach. 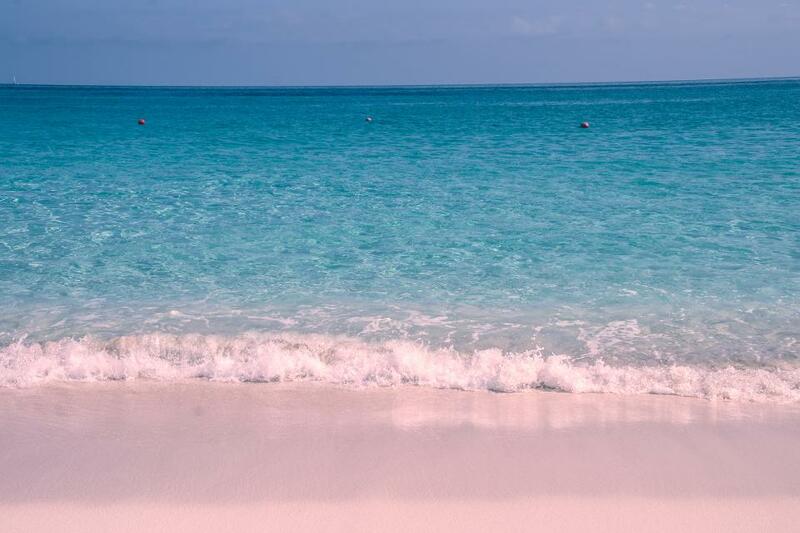 According to Forbes, Pink Sands Beach in Harbour Island, Bahamas is number two on the list of the world’s top 50 beaches. As its name suggests, the sand is truly a delightful shade of pink. Also in the Bahamas is the famous Pig Beach in Exumas. It’s actually the only place in the entire world where you can swim with wild pigs. If you’re looking for a good time, look no further than the Caribbean’s tropical festivals. Head over to Curacao for the North Sea Jazz Festival, or Barbados’s colorful Crop Over Festival. Trinidad and Tobago celebrates the famous Carnival with exuberant street parades each year in February. While participating in festivals, you’ll not only be entertained, but also you can learn a great deal about traditional Caribbean culture, and enjoy great Caribbean food and music as well. Caribbean cuisine is highly varied and is influenced by many other cultures, including African, Amerindian, European, East Indian and Chinese. 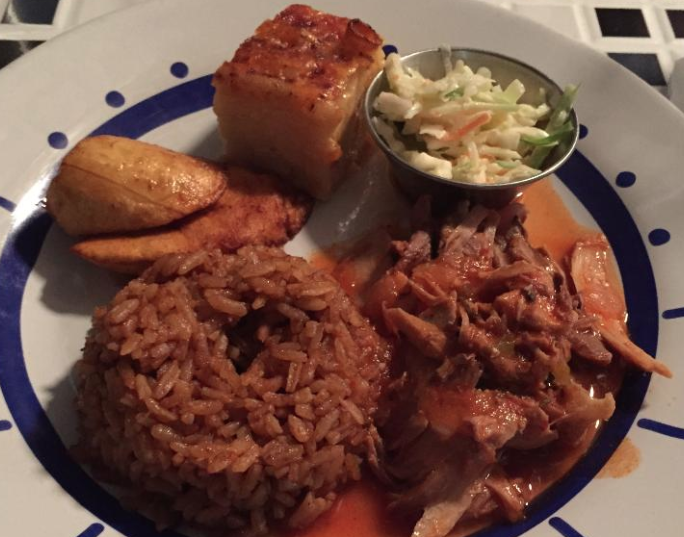 The incredibly variety allows Caribbean dishes to appeal to all ages and tastes. Since most Caribbean countries are located on islands, it goes without saying that you’ll find succulent seafood in nearly every restaurant. However, even those who don’t enjoy seafood, or enjoy vegetarian or vegan options, will find something to suit their fancy. On many Caribbean islands, beautiful structures from the colonial period remain intact, and many have been restored. You’ll find historical sites dedicated to the culture of the natives who first inhabited the islands, as well has sites constructed by European explorers. In particular, San Juan is home to El Morro, a well-preserved Spanish fort. In the Dominican Republic, you can visit Christopher Columbus’s estate in Santo Domingo. Furthermore, Aruba is filled with beautifully preserved Old Dutch Colonial buildings. Every Caribbean country contains rich evidence of colonial history. In general, Caribbean culture is one of hospitality and warmth. The people who inhabit these island countries love to have fun and take pride in their unique traditional customs. Many of them will be more than happy to share personal anecdotes and teach you a few words in their native languages. Luckily, the languages most spoken on the Caribbean islands today are English, Spanish, French, Dutch, and Creole, so speaking with the locals may not be too difficult, depending on where you’re from, and what languages you speak. The Caribbean is the perfect place to find hotels and resorts with spectacular ocean views. 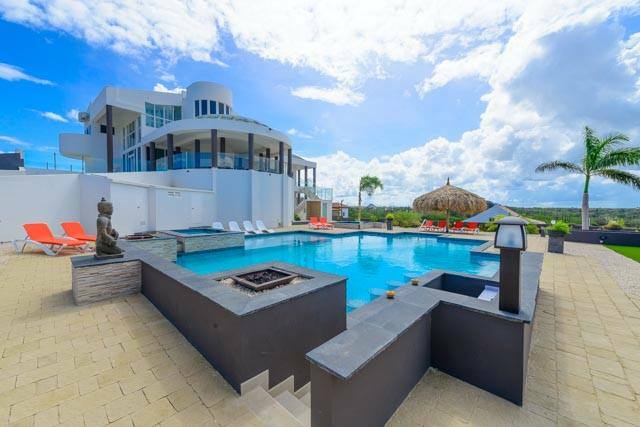 In some countries, you can even rent your own private villa, or even your own private island! You can find something for every taste– from the money-saving hostels, to family-friendly hotels, to secluded private places, to luxurious resorts. Many Caribbean resorts offer amazing amenities like relaxing massages and concierge services. Some are so “all-inclusive” that you won’t even need to leave the resort during your entire vacation! Wondering what exactly there is to do in the Caribbean? The answer is: everything! Since Caribbean countries have vast oceans, tall mountains, city scapes, and lush rainforests, you can go sailing one day, and hiking the next. You can snorkel by day and enjoy the city lights by night. In addition, the Caribbean is the perfect place to do something adventurous, such as diving with sharks in Curacao or swimming with wild pigs in the Bahamas. You’ll also have the opportunity to try out some amazing water sports, such as jet skiing, surfing, jet blading, and paddle boarding. However, if out-of-the-water adventure is more your style, you can try hiking in the rainforest, horseback riding along the beach, or an off-road 4×4 excursion through the jungle. 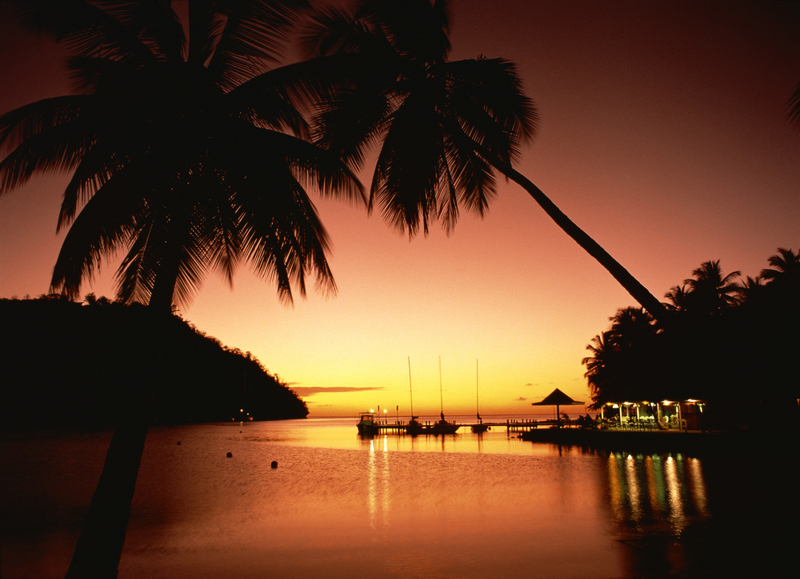 There’s nothing like a Caribbean sunset to make you feel at peace. That’s why the Caribbean is such a favorite for those who are looking to get away from a stressful, busy lifestyle. It’s also one of the reasons why the Caribbean makes the perfect place for a honeymoon getaway, since couples can enjoy the majesty of an ocean-side sunset together. Caribbean culture is generally laid-back, making it the perfect place to escape from your typical 9 to 5 work routine. Life moves at a tortoise pace on these islands, and since many of them thrive on tourism, fun and adventure are ingrained into the Caribbean lifestyle. Many Caribbean inhabitants value family very highly, and delight in spending time dining, relaxing, and even singing karaoke with their loved ones. They are proud of their traditions and are generally patriotic toward their countries, as expressed through their magnificent festivals, such as the Crop Over festival in Barbados. Depending on where you live and currency rates, a Caribbean vacation may prove a viable, affordable option. Since many islands are in close proximity to one another, you can “island hop” from one country to another with ease, and there are affordable options for traveling by boat or plane. Caribbean countries offer both economical dining options as well as luxurious ones, and due to the fact that public beaches are free, you could essentially pay only travel, accommodation, and dining expenses during your vacation. Ready to head to the Caribbean? Take a look at these top Caribbean destinations!